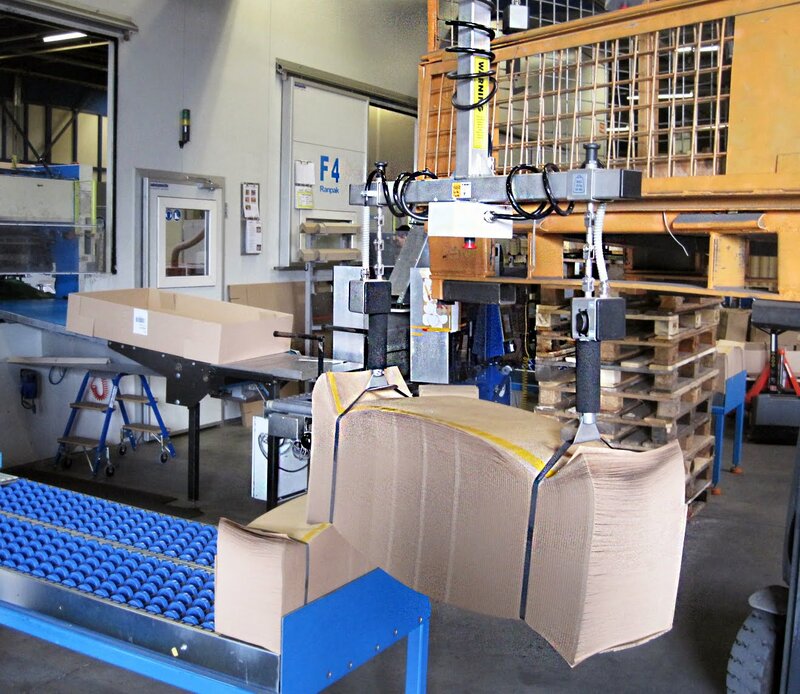 This special tool combined with ViperHoist is equipped with two hooks, one on each side, and is used for lifting large bundles of paper bags weighing up to 30 kg. The hooks grab the straps on each side and the whole bundle can then easily be lifted and transported. This hoist is mounted on a Lyftman jib crane and used in a packaging area. ViperHoist is available in two models; ViperHoist60 for quick lifting up to 60 kg and ViperHoist120 for heavier lifting up to 120 kg. ViperHoist is one of the world's fastest hoists and with variable speed control you can choose at any point how fast or slow you need to move. More information is available here.